Somewhere last month my traffic skyrocketed for a little bit. I loved seeing such big numbers even as they eventually faded away. Even knowing that people could love my content so much made me very happy. 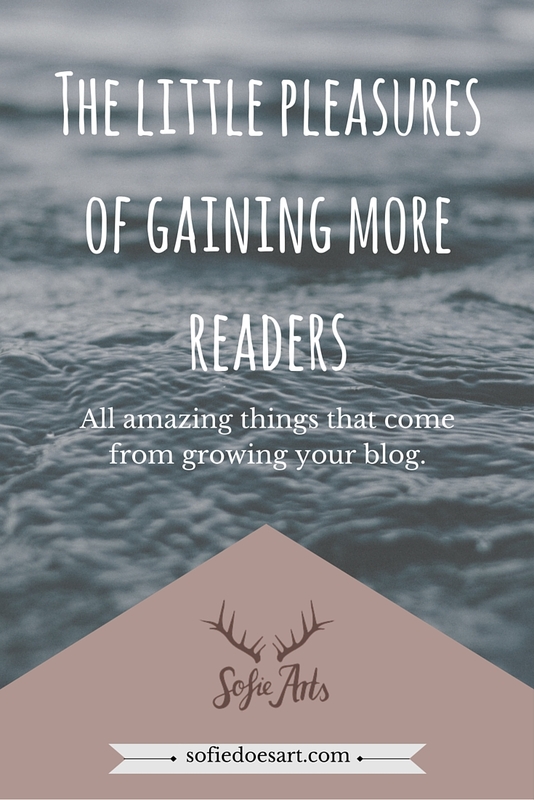 But besides seeing the obvious big numbers there are some other great things about growing your blog. The more people visit your blog the more reliable your google audience analytics will become. That means that you know who loves your content and that you can choose what to promote accordingly. I loved seeing the data straighten itself out and get more reliable. It means I can get to know my audience better and have more insight into what they would like to read. Things and links getting clicked that didn’t get clicked before finially do. Maybe some page didn’t get clicked before but the more your audience grows the more your site will be browsed and the more links will be clicked. Seeing people clicking the page you have worked so hard on can be very rewarding. I personally really like when I see people have clicked the side bars or have visited the top menu pages. People who visit more than one page are also great for lowering your bouncing rate! Getting regular comments from old and new readers. Who doesn’t love getting your regular comments from your regular readers and getting more and more of those? There are many people that I befriended through my blog and I love that that has all happened because I kept working on this blog. I love it when you get offers in the mail where you did not have to go after yourself with a bat. It is quite flattering and often nice to see that people know where to find you. Even if those are offers that you might not be interested in at least you now know that people can find you. I love it when I see people reblog and share my stuff. Coming across your own posts without them showing up in notification really means people are sharing and loving your stuff. For me, it doesn’t happen that often but when it does it certainly is a great feeling. When you hang around long enough in a community your work and style get recognised. You name and face as well. The time I heard; “Hey, I saw you posts before.” Really made me happy. I think we all have people we have recognised on multiple occasions. All these little pleasures show that you don’t just need to look at your numbers. I am so guilty of this myself while the things above feel much more satisfying. What things did you like most about growing your blog. Or what do you looks forward to? Let me know in the comments and don’t forget to share this post with other bloggers in your life.